Three options to renew for 2017. When you renew your membership online, your membership card is your completed order receipt and e-mailed to you. 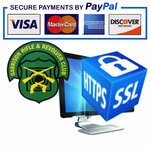 The completed order receipt states that it is a 2017 Garrison Rifle & Revolver club membership card and that you can use it to buy a 2017 Associated Gun Clubs range badge. $2 extra covers online processing fee. More Questions? See our online renewal FAQ. 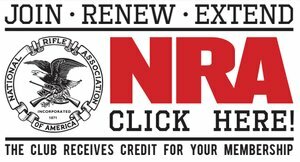 Click here to renew online. Mail a SASE (Self Addressed Stamped Envelope) to P.O. Box 5321, Timonium, MD 21094 and include a check made out to Garrison Rifle & Revolver Club, Inc. Your membership card will be mailed to your home address. Regular or paid honorary members pay $20. Honorary members are free. Please include your last range badge # when you send your Self Addressed Stamped Envelope. More Questions? See our mail SASE FAQ. You pick up your membership card at the meeting, get to shoot in a club event, hear what the hot club and AGC topics are of the month and you get fed too. Regular or paid honorary members pay $20. Honorary members are free.